Derry native Peter Casey is Founder and Executive Chairman of Claddagh Resources, a global recruitment and search business that places high-level executives with some of the world's largest and most influential consulting and IT firms. 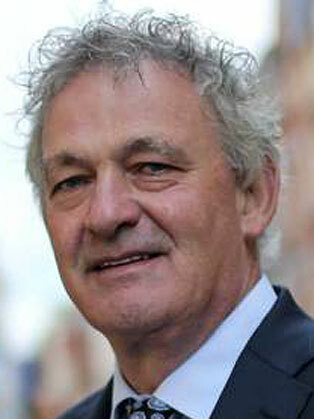 Having established successful business interests in Australia and Ireland, Peter Casey set up Claddagh Resources in Atlanta, Georgia in 1995, where he is now based. Claddagh currently operates from five locations worldwide including their European base outside Buncrana in Donegal. Their clients include well-known names such as Tata Consulting Services, Ernst & Young, Oracle, AVG Software and SAP. Peter lives in Atlanta with his wife Helen and their five children and divides his time between there and his family home in Derry. He travels extensively, working with a portfolio of blue chip clients worldwide. He is also an accomplished writer, political and business commentator, with articles published in the Sunday Independent and Sunday Business Post among others. He has also just written a book on the Tata Group. Outside work he enjoys a game of golf. Peter was named by Irish America Magazine as one the leading Irish American businessmen for 2007. Since 2009, Peter has invested in commercial, residential and agricultural property in Ireland. Peter's approach to business is simple, he likes to invest in people.